Sometime…I just don’t have it. What an interesting and busy weekend it’s been! Mr. B had meetings all day Saturday, and I had a hair apt in Seoul. The day started early, catching the train at 7:30AM in Dongducheon to make it down to Seoul by 9:30AM. Made it onetime no problem! That’s the greatest thing about Korea, you can almost set your clock to arrivals and departure times of the public transportation methods. I used knowing the departure times to my advantage and after my appointment I had some time to kill before I had to get back for a St. Patricks Day work function. Perfect for a nice leisure walk around the Myeong-dong shopping area. (sorry no new pictures snapped of the hustle and bustle of the shopping district). Sunday, no rest for the weary. Okay, maybe just a teeny little more for me than for Mr. B. We headed down to Songtan Saturday night to grab a hotel room so that we didn’t have to wake up as early. Mr. B. continues to move full speed ahead with his PADI certifications, he had to assist with instructing newbies. I had all intentions of joining him in the pool, however when the alarm went off at 6:15 my body had other plans. I was tired, exhausted, drained! Whew, is this getting older? Ha Ha! Just kidding! I think the go, go, go from the week and Saturday finally took it’s toll. I casually woke up at 8:00AM, ate some breakfast, walked to Mr. B’s car to fill up on gas, and picked up some groceries. We’ve been watching the weather back stateside. It sounds like Spring has truly sprung! 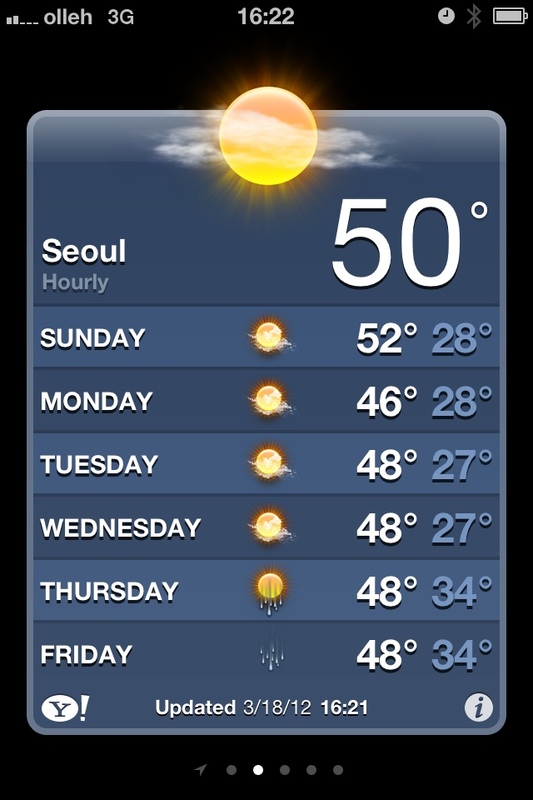 As for the weather here… Well…that’s a bit of a different story. We have been all over the charts with our temperatures. Last weekend We were in wool sweaters, winter coat, ear muffs, and mittens. This weekend it is oddly warm and sunny, no complaints here! Saturday made for a beautiful St. Patrick’s Day! I only wish we could have seen more green, yes…besides the green shamrock attire, beads, and beer. I’m talking about the leaves, grass, and beautiful spring flowers! 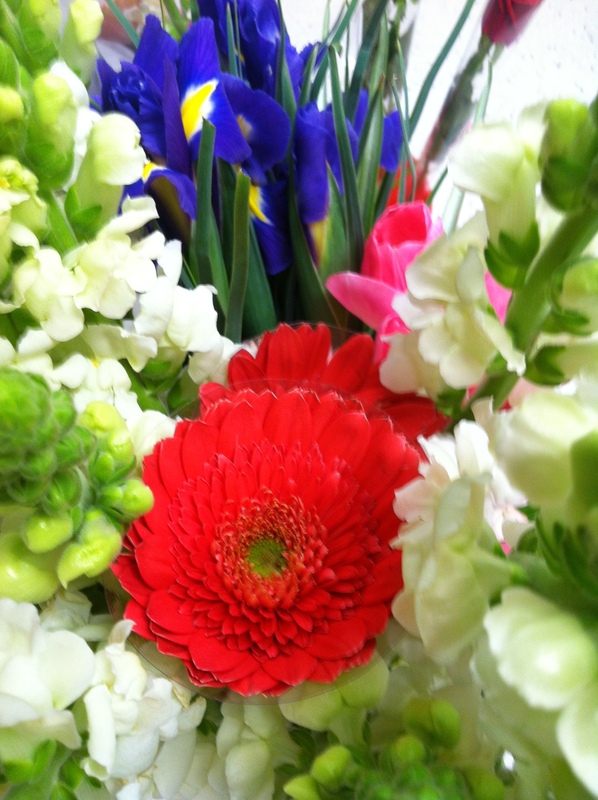 (This picture of a beautiful flower bouquet will have to fill the Spring flower void for now). Sigh…see, patience…I’m missing that one particular gene. Hope everyone had a wonderful St. Patty’s weekend!